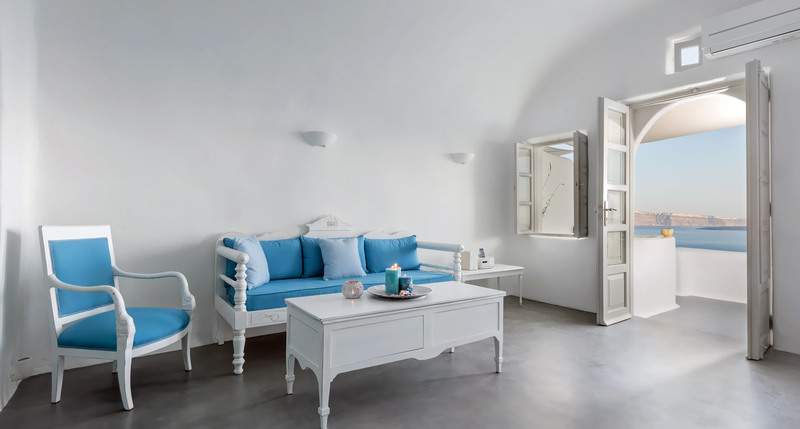 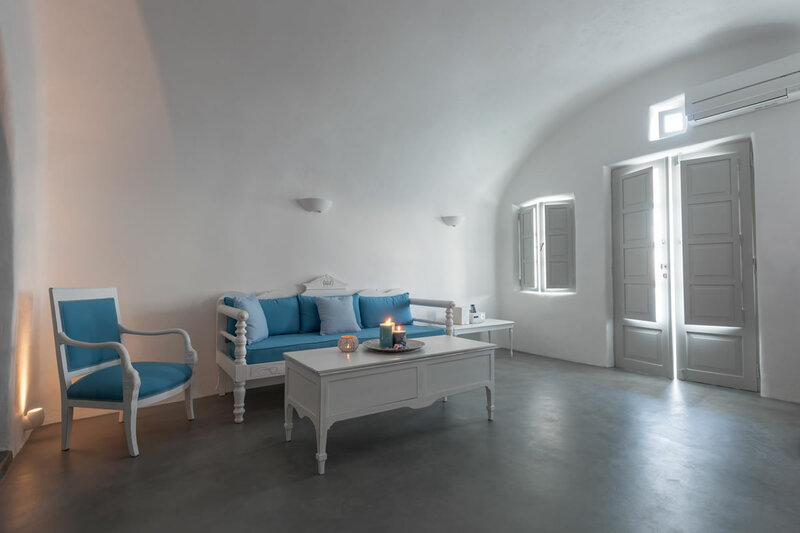 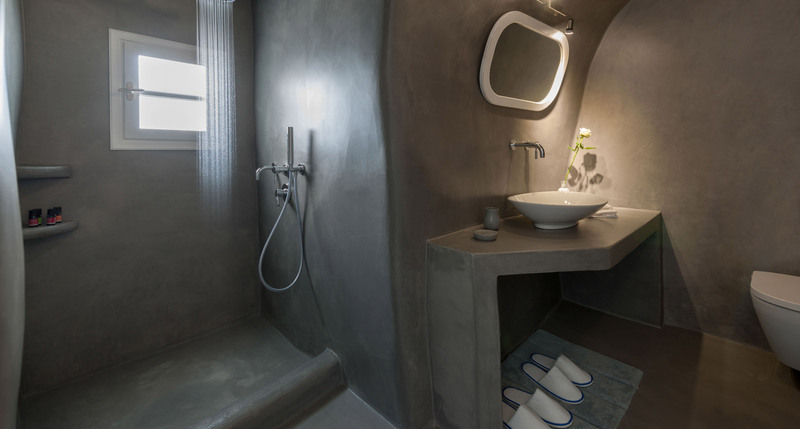 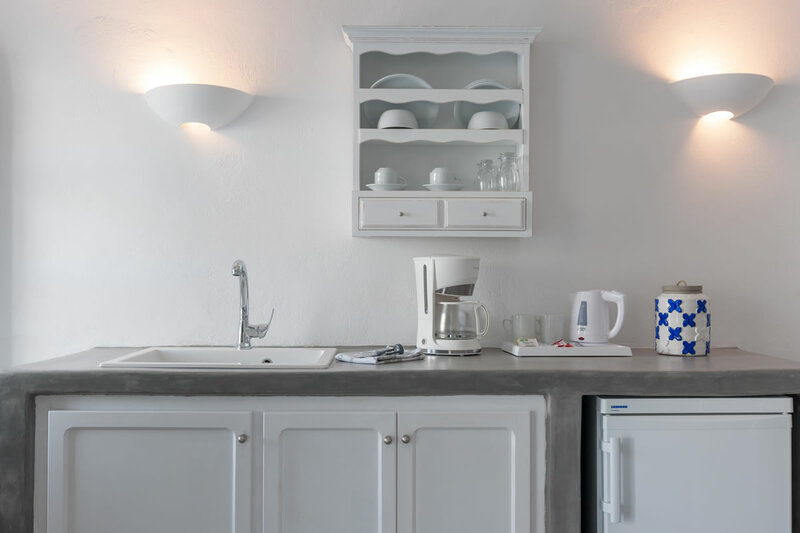 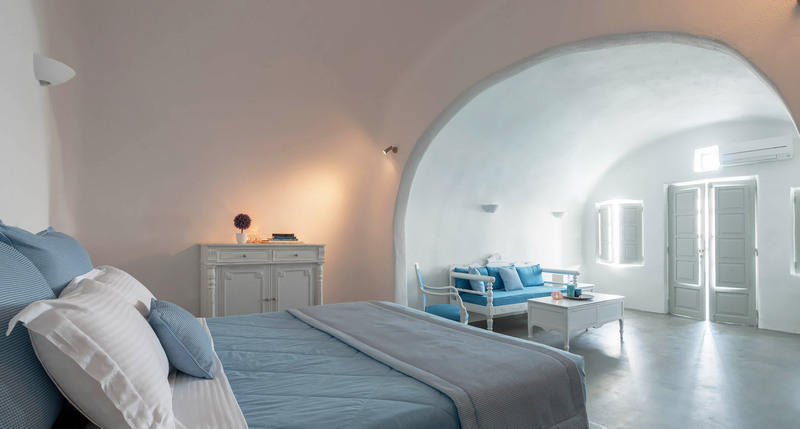 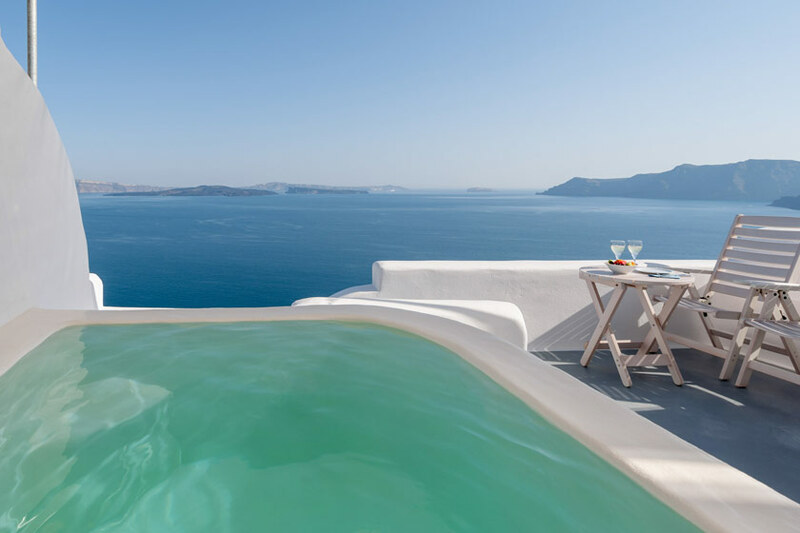 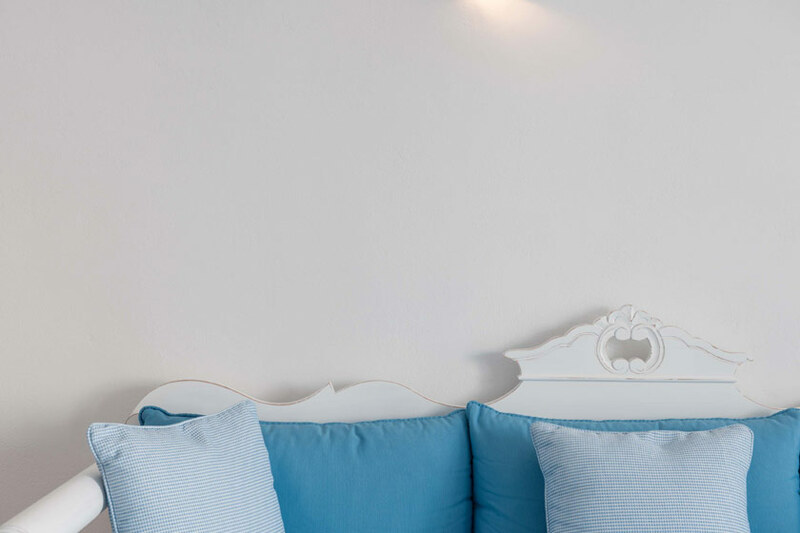 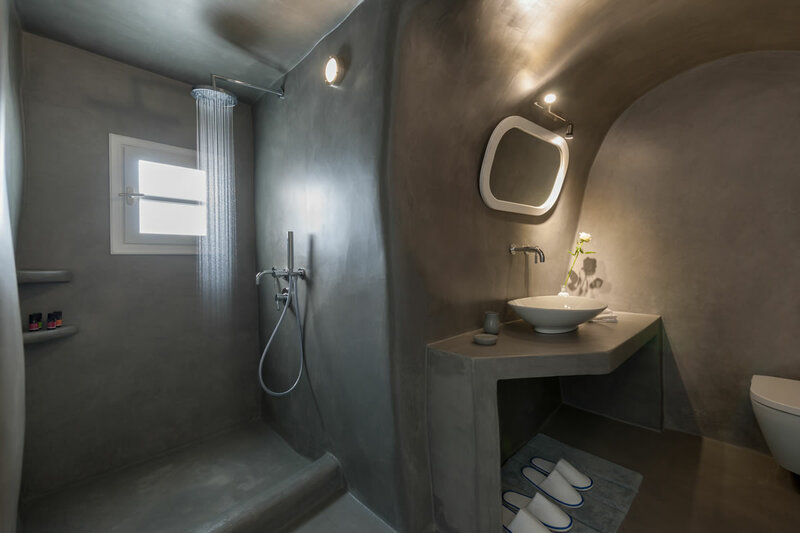 Enjoy the highest standard of luxury accommodation expected in a luxury Santorini suites hotel in our Superior Thirea Suite. 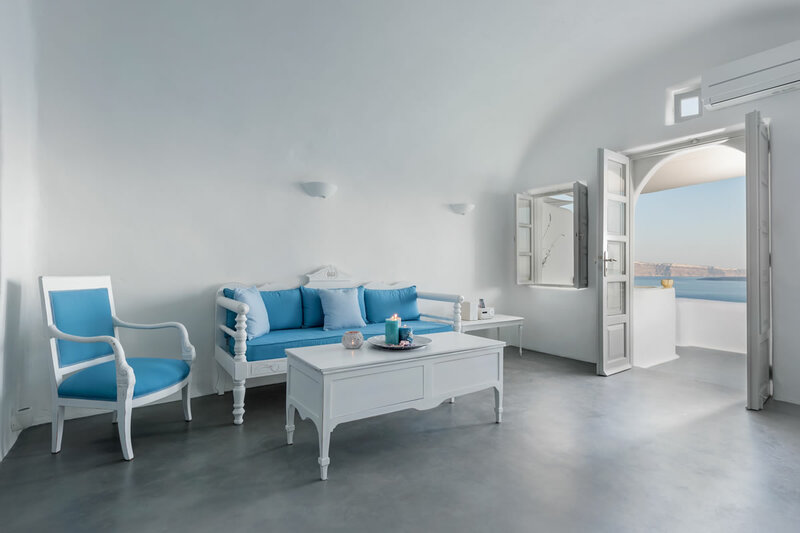 Enjoy the highest standard of luxury accommodation expected in a luxury Santorini suites hotel in our Superior Thirea Suite. 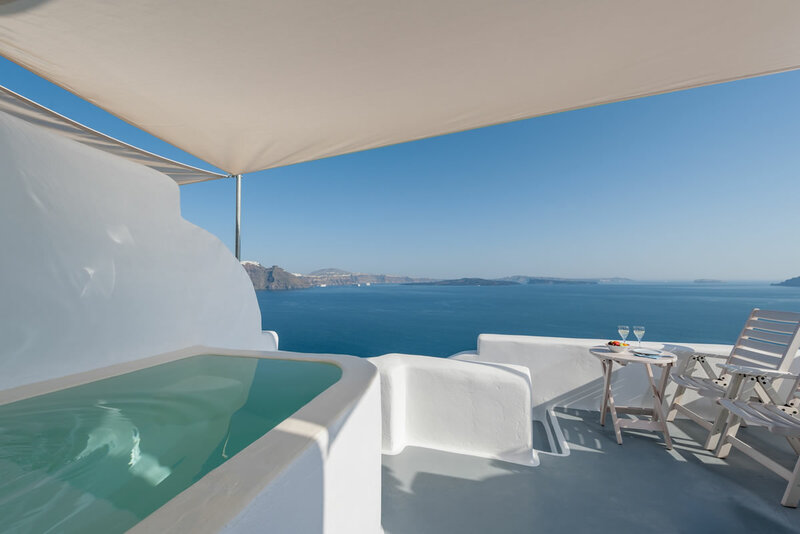 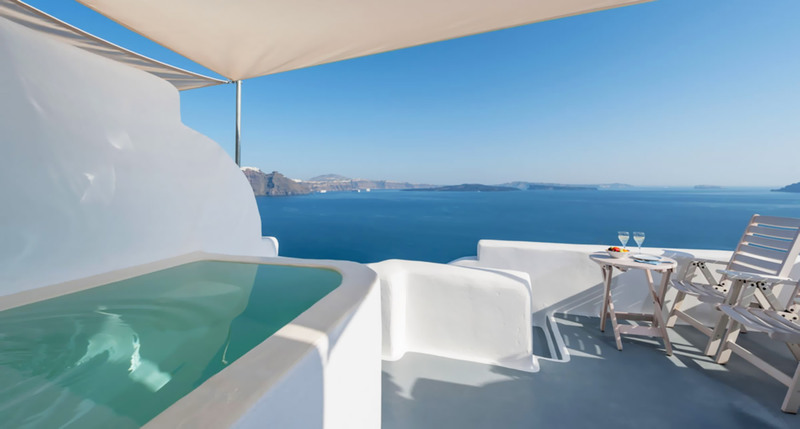 The suite offers breathtaking views over the caldera and the volcano from its private terrace equipped with sun beds and its exterior Jacuzzi tub. 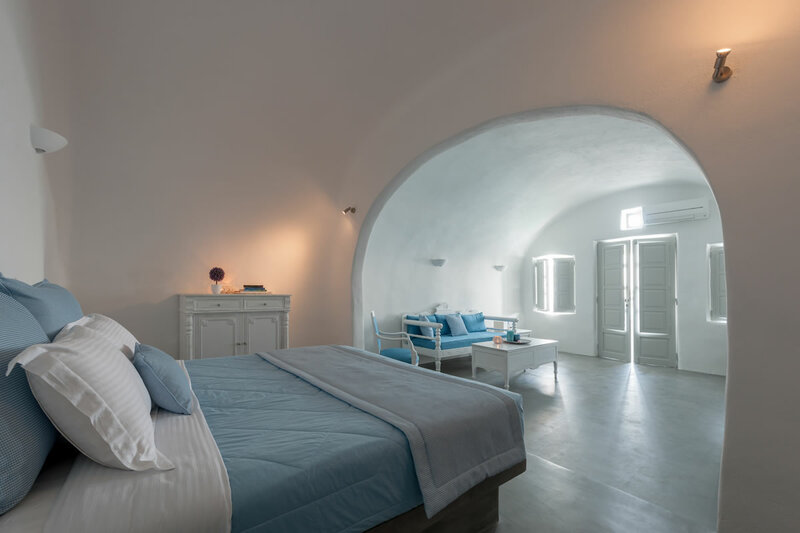 It is facilitated with King Size bed and luxurious bathroom with rain shower and bath amenities.